The Isle of Man Companies Registry is the Isle of Man equivalent of Companies House in the UK. It falls under the remit of the Isle of Man Government’s Department of Economic Development. The Companies Registry consists of eight distinct registries, each with their own legislation, feeds and statutory filing obligations. The Registry’s business objectives are to maintain a quality Register ensuring legislative compliance, operate the Registry effectively delivering a high quality service to local and international clients and support the promotion of the Isle of Man as a key international business centre. The Registry has the statutory responsibility for the incorporation, administration, maintenance and dissolution of companies and other business forms prescribed by legislation in the Isle of Man and maintains the register and a record of all companies and other business types incorporated in the Isle of Man. It provides an essential facility for members of the public to view documents which have been filed. There are currently 40,000 companies and other business types incorporated and registered in the Companies Registry which generates a multi-million pound income. The vision for the Companies Registry is to be a world class provider of registry services, making a positive contribution to the Isle of Man Government’s aspiration of being a world class International Business Centre providing a competitive, accessible and innovative business friendly location. The Companies Registry were working with a number of legacy electronic and manual paper based systems. Their existing systems were built on out dated technology platforms, were frequently unreliable and in addition, were expensive to support. Importantly, they were also inflexible and weren’t able to easily adapt to the changing business environment. The disparate systems and the volume of paper documents caused inefficiencies for staff which, in turn, meant they weren’t able to deal with customer enquiries as quickly as they would have liked. The Registry decided to invest in a new Companies Registry Single Integrated System (COREGSIS) – moving processes online to help improve services to its stakeholders. 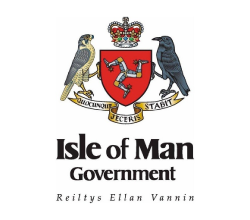 Online services would radically improve the way Companies Registry provides services to its users primarily by making it easier to do business with the Registry – a key part of the Isle of Man Government’s Digital Strategy. After reviewing the market place and undertaking a competitive tender process, the Registry selected software company PDMS to design, develop and implement the new system. A phased approach to the implementation was planned, with the first phase replicating like-for-like functionality including integration with the scanned document archive and the provision of information through Online Services. This would also include migration of all existing data into the new system. Subsequent phases would allow the on-line incorporation or registration of new companies and the submission of statutory documents including on-line payments. Implementing a major new line of business system is a complex undertaking and not without significant risk to all the various stakeholder involved. It required significant changes to processes and working practices so it was crucial to get the buy in of everybody in the Companies Registry team. The team at PDMS worked very closely with the Companies Registry team at every stage of the project from business analysis through to testing and go live. Consumers of the services, both in Government and the private sector, were also consulted at workshops, held during the design phase, to ensure that it would meet their needs. The new Companies Registry Single Integrated System went live in September 2015 along with the replacement public viewing system. Since this date the Online Services have been further extended by introducing online submission of 2006 Incorporations (May 2016). Workflow management – Across the eight Registries there are hundreds of company events where documents are filed, scanned, data is processed, certificates are generated and documents made available to the public. By implementing a workflow based design the user is presented with relevant information for the specific company event making the data processing element of the job as efficient as possible. Automatic publication of documents – Publication of the statutory documents and certificates is an automated part of the workflow so once scanned in to the system, the user does not have to think about filing, publishing or generating documents and certificates. Automatic generation of certificates and correspondence – Before COREGSIS all documents, letters and certificates were generated manually by Companies Registry. Document production has been incorporated into the processing making all output generation automatic resulting in a standard brand presented to the public, a significant reduction in errors and processing time along with efficiency gains. Company Information Search – Information had been held in different systems for each Register and all documents were held elsewhere. Pulling together a full history for a company was challenging. Company information and company documents have now all been centralised into a single system. Everything is in one place for all registers and all documents providing a single search point to search for information relating to a company and information across companies. Company life cycle automation – Many of the processes have been automated meaning significantly less time is required manually tracking where a company is in the process. Annual Return, Winding Up, Dissolution and Strike Off cycles can be lengthy processes that span over many months. These were previously manually monitored. The cycle management has now been built into the system resulting in the Registry being able to quickly identify where a company in in the process and what the next steps are. PDMS were also able to assist with data migration – moving hundreds of thousands of documents and records held in the old legacy systems to the new system. The Companies Registry system now contains 2.5 million documents, of which 82,000 have been added since “go-live”. It contains records of 178,000 companies, of which 36,000 are currently live. Since the launch of COREGSIS, Companies Registry staff have created over 100,000 workflow items. With COREGSIS the Registry staff have been able to demonstrate significant improvements in their customer service levels. For example, in March this year, the turnaround time for company registrations has reduced from 2 months (prior to the launch of the new system) to 2 weeks and it’s now averaging at 8 working days. Registry staff can also respond to customer enquiries significantly faster. Previously they had to trawl through different systems and paper documents to answer queries and this information can now be found much more easily within COREGSIS. Before COREGSIS, there was no visibility as to what stage in the registration process documents were up to – now Registry Staff can advise customers much more accurately. The information they provide to customers is now in real time – there is no time lag due to data backlogs or waiting for weekly system updates. The new public viewing system provides the public with more reliable and faster access to the information that is currently available, such as company name and registration number, the registered office address and the date of incorporation. 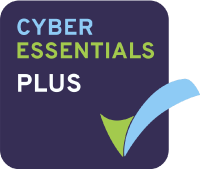 COREGSIS has also received overwhelmingly positive feedback from other government users who can access parts of the system directly to get the information they require, for example Income Tax, Financial Services Authority, VAT Office etc. Accessing the information and being able to communicate via COREGSIS directly, saves these agencies a significant amount of time. The COREGSIS project has moved the Companies Registry onto a new technology platform which provides a solid foundation for future digital developments. Because it is based on sound software engineering principles, it provides flexibility and can be easily enhanced and extended to meet any future requirements. It is also significantly more reliable than the old legacy systems and has been architected for enhanced levels of security. PDMS continue to support the system and will work closely with the Registry team to move more service online.